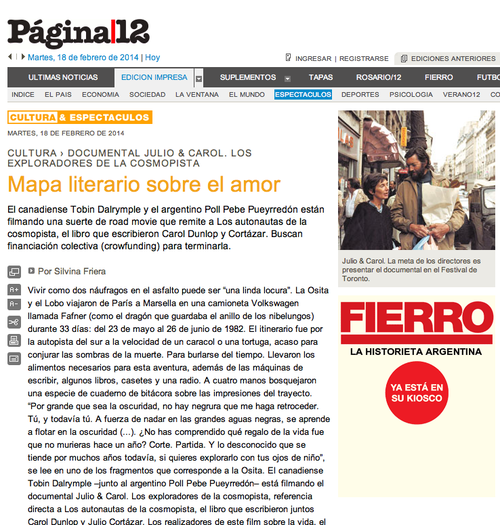 I was very proud to see the coverage about our new documentary about love, heartbreak and Julio Cortazar in Argentina’s national newspaper, Pagina 12 the other day. It’s hard to believe how far we’ve come in the last few months. 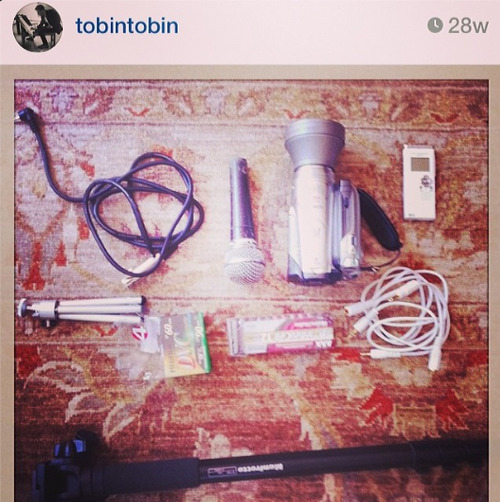 We have grown from me - a confused, newbie to film - hopping on a plane, with little more than a backpack, a monopod and a camera I had never used … to this. 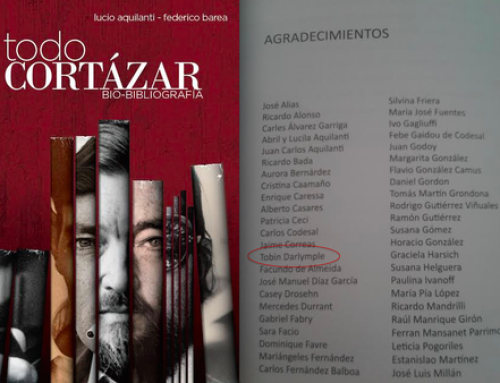 National newspaper coverage all over Latin America; $4,000 in crowdfunding in just 2 weeks ($28,000 to go!) and nearly 1700 Facebook fans. The content is looking awesome. The dream is coming alive. Stay tuned!